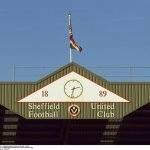 Sheffield United went into last night’s Championship clash with Birmingham City knowing that victory would edge us back above Leeds United in the chase for automatic promotion and second spot in the table, but we knew Birmingham would be tough given their recent form. 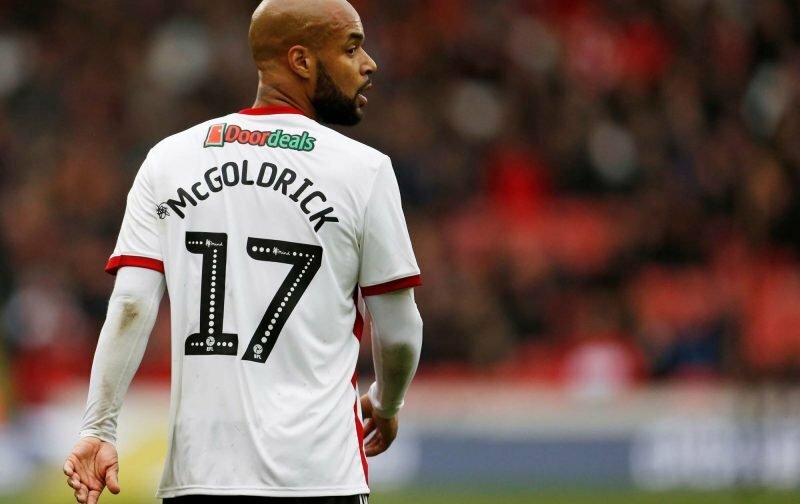 That was how the game played out and also we opened the scoring through Enda Stevens, the hosts at St Andrew’s Stadium quickly levelled and the game ended at one apiece, unfortunately handing Leeds back a slight advantage for the run in. Statistics website Whoscored gave us the edge on their player ratings from the game probably because of our possession, as otherwise it was pretty level. 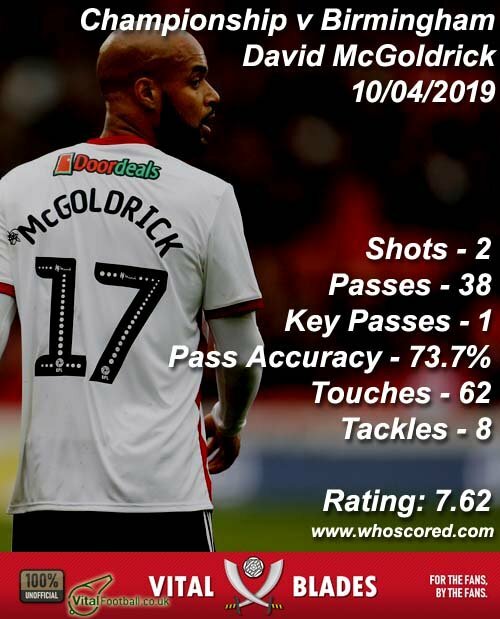 David McGoldrick was their star man with a Man of the Match rating of 7.62 for his efforts, and completing the top five from the night’s action were Oliver Norwood (7.46), Enda Stevens (7.45), goalkeeper Dean Henderson (7.32) and Chris Basham (7.31). Onto Millwall on Saturday now and let’s see what twists and turns lie ahead.